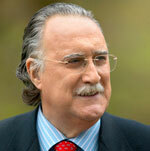 Iñaki Azkuna was Bilbao's mayor from 1999 to 2014. 9 January, 2013**: It has been said that Bilbao’s transformation from a declining industrial city in Spain’s Basque Province to an international centre for tourism and the arts has been sparked off by two events: the opening of Guggenheim Museum in 1997 and the election of Iñaki Azkuna as mayor two years later. Mayor Azkuna was awarded the 2012 World Mayor Prize. Mayor Iñaki Azkuna died of cancer. He was 71 years old. When in the early 1990s Bilbao decided to spend almost US$230 million of public money on a museum of modern, many doubters accused the city of squandering precious resources. But developments since then have silenced the critics. Annual visitor numbers to the city increased from 100,000 before the museum opening to more than 700,000 in 2011 and the Guggenheim is estimated to have contributed some €2.4 billion to the Basque Province’s GDP since October 1997. Since being first elected, Mayor Iñaki Azkuna has used the high profile of the Guggenheim Museum, designed architect Frank Gehry, to re-build the city. 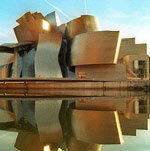 The Bilbao Guggenheim has become as iconic as the Sydney Opera House, he said. But, in an interview with City Mayors, the Mayor also stressed that Bilbao did not construct the Museum just to have an iconic building. It was part of a wider development plan involving a new subway line, the re-development of the river frontage and a new airport. In a paper entitled the Bilbao effect, Beatriz Plaza from the University of the Basque Country described the Guggenheim as the icing on the cake. City Mayors: Why did you contest the mayoral election in 1999? Mayor Iñaki Azkuna: I have always felt a vocation for public service, perhaps due to my choice of the medical profession. I had political experience in the Basque Government in Ardanza’s Cabinet and management experience primarily in the Hospital de Cruces. My life changed whilst in management. Since politics, to me, is the solution to the problems of the citizens, my party presented me as candidate to the mayoralty of Bilbao. And here l am. CM: How has your knowledge as a specialist in Medicine contributed to your administration? Has it allowed any achievements as mayor that would be difficult for other civic leaders? Is there an issue or area, perhaps healthcare, which is your preference for action over others? Mayor IA: For me, all areas are important as each of them is essential to improve the quality of life for citizens. On the other hand, management ability is important and the experience of management l gained in the health sector has been very useful to me at the city council.. Although health is not under municipal jurisdiction, l have always sought a full collaboration with the public and private health sectors in Bilbao. My training has made this possible. I think together we have made Bilbao a city with excellent healthcare with a system which is also universal and free. We will try to keep this even in the current difficult situation. CM: Until now your administrations in Bilbao have been either coalitions or have relied on passive support from some other political groups on the council. What skills and tactics were you able to deploy during these years to secure effective leadership and decisive action for the city and its population? Mayor IA: My goal is and has always been to govern for all, including those who vote for me, those who vote for others and those who don’t vote for anybody. I have always been willing to compromise with other parties provided there is a common vision of a city project. I think the key to my governance over the years has been to be able to unite around a city project across public and private institutions. This is what has transformed Bilbao: public-public and public-private collaboration. An example of this is Bilbao Ria 2000, which is a public company which, as the mayor, l chair. Bilbao Ria 2000 is one of the relevant agents in the transformation of Bilbao and involves the Government of Spain, the Basque Government, the Government of Bizkala and the City Council of Bilbao. In addition, the transformation of Bilbao has been accelerated and amplified by the involvement of private agents in the process. CM: What are your priority policies and ambitions for your fourth term? Will you be able to deliver these if the economic crisis in Spain and the euro-zone continues? Mayor IA: The economic crisis has forced citizens and governments to tighten our belts and the civil services are facing the challenge of doing more with less. This challenge requires rigor in maintaining transparency and public participation in a time of economic austerity. This is the key to continuing good management. We have continuously led the rankings in transparency amongst the city councils of Spain as measured by Transparency International. With respect to participation, we involve citizens in the development process of new city projects from the planning and design stages and in the evaluation of municipal policies. In Bilbao, we started from a healthy position as in the years of prosperity we spent where needed whilst steadily reducing municipal debt which was paid off in full in April 2011. Our priority now is to maintain and improve all the services that are crucial for progress in quality of life and care for citizens especially those with higher social needs. We therefore pay special attention to keeping a balance between the city’s neighborhoods. We will not, however, neglect investment but we will only incur new debt for key projects which will allow further strengthening of the foundations for the future of Bilbao and which will help us to maintain an attractive and lively city. CM: Are you enjoying the experience of majority administration? Will there be any controversial actions and strategies which you will introduce into the governance of Bilbao which were not possible in earlier years? Please describe these? Mayor IA: The important thing is not to have the majority but to achieve the maximum consensus in our actions and, above all, the support of the public to the key projects of the city. Because the city is made by all : parties, agents and above all citizens. One of the major projects which we must develop in the coming years is the urban regeneration of Zorrotzaurre. This is a space which is currently derelict that will become our great district of Knowledge and Creativity in the years to come. It will be an attractive, vibrant area which will have the first Urban Technology Park in the state. We also plan to create ‘neighborhood hearts’ which will function as real social and economic engines for their respective environments. We will also improve aspects related to accessibility. We will promote energy efficiency in public lighting, the creation of new parking areas, new areas for recreation and covered multipurpose spaces for leisure. CM: Unemployment is very high in Spain and in a former industrial city this must make it especially difficult for low skilled young males. What can city level government do to generate more low and semi skilled industrial jobs which attract young men and keep them away from anti-social activities? Mayor IA: Fortunately, we are in a better position than other cities in Spain with an unemployment rate of 13 per cent compared to almost 25 per cent in the country. However, we have lost 11 per cent of our economic fabric in three years. Our strength is in our presence of leading and well-positioned companies in the emerging sectors and with a strong degree of internationalisation. We support these sectors, notably art, technology and design and eco-technology and other urban solutions such as tourism and, as l mentioned earlier, health. The city is striving to be competitive and to create employment opportunities through welcoming new investors and more tourism. The key to combat the high youth unemployment is to influence their training for and adaptation to the emerging sectors. We work to bring to Bilbao the headquarters of corporations and new companies offering employment opportunities, especially to young people. It is also important to support young entrepreneurs through the development of support programmes to help them to secure their projects as new businesses. CM: Bilbao has two universities. Do all young people have the opportunity to enter university? What efforts is the city making to encourage young people to study? Mayor IA: Bilbao is a city with a highly skilled population. More than 24 per cent of the population has a university degree. However, we face significant challenges now in providing the opportunities for the talent coming out of the universities. It is consequently important to direct training towards emerging sectors, creating poles of co-operation between universities, the private sector and research centres. Universities need to be converted into real research, development and innovation (R+D+I) centres. We want to consolidate Bilbao as a true college town around the emerging sectors. Consequently, we have signed several agreements with the two universities with the aim of facilitating the development of new university infrastructure in the city to allow the shaping of innovation and knowledge poles around areas such as engineering, telecommunications and health. CM: Despite the austerity and a new centre-right government in Madrid do you expect that the region’s sections of the high speed rail line will be completed on time? After the high speed line to Bilbao opens what scale of new economic opportunities for citizens and businesses and what level of improvement to quality of life in the city do you expect in the subsequent decade? Mayor IA: There is no doubt the High Speed Rail Line project is key to our economic development. The construction of the HSR will substantially improve the connection of Bilbao with the rest of Europe and will bring Madrid within two hours of us by train which will boost both trade and tourism here. Despite the difficult economic situation the works continue and it is still expected that the HSR will reach Bilbao by 2016. CM: Bilbao has undergone an infrastructure boom in recent years. What are the major policies of your administration to improve other areas such as public transport, healthcare, education, culture, job creation, economy, public security and environment matters? Do all of them have the same level of importance to you? Mayor IA: In Bilbao, an enormous effort was made over the last quarter of a century in infrastructure with the aim of regenerating the city. The clearest example is the Guggenheim Museum which has been a catalyst for the economic and social development of the city and which has raised the position of Bilbao in the world..
l am most proud of our achievement in restoring the prominence of the people of Bilbao in this process. It is the people who are day to day making it possible for Bilbao to remain as a living and referential city worldwide. Facing the next four years, the major works to be performed are related to the citizens through the creation of the ‘neighborhood hearts’ which will enable the centres of neighborhoods to function as true economic and social engines. CM: Is your administration taking action to reduce energy consumption and to promote greener alternatives? Mayor IA: The future is in renewable energy and we signed, in 2010, the Covenant of Mayors, a European initiative that aims to unite the efforts and cooperation of local administrations to reduce energy consumption and pollutant emissions. The street lighting has been renewed with LED, achieving a reduction in energy consumption and expenditure of 10 per cent . As an innovative measure, Bilbao is the first city in the state to use a special type of pavement that absorbs carbon dioxide. We have developed a bicycle rental system and the expansion of cycle lanes and have a car-share project in place to promote the reduction in pollution and in energy consumption from private vehicles whilst also improving the use of public space. We have reduced by 255 the fuel consumption associated by goods traffic on the roads by arrangements for booking areas for the loading and unloading activities. CM: Bilbao has one of the lowest crime rates in Spain. How have you managed to maintain this? Is terrorism still a public order issue? Mayor IA: Bilbao is a safe city. Proof of this is the low rates of crime and violence in the city. We aim to keep crime and violence rates down and reduce them still further. The ETA ceasefire, announced last year, was the best thing that could happen to us. There is peace in Bilbao and Euskadi at last. People can come, visit and invest in the city in peace because we, at last, live in peace. CM: Around seven per cent of Bilbao’s population are migrants from other countries. What do you do to integrate them into society? Do they receive the same level of opportunities and services as local people? Mayor IA: Bilbao is an open city. At the City Council we encourage values of coexistence, dialogue and management of cultural diversity. In Bilbao, all persons, whether from Bilbao or outside, have the same opportunities and access to services offered by the city. The City Council has implemented actions to prevent marginalisation and ghettos which could be the source of conflict, unemployment and marginalisation. Ghettos always end up creating conflicts and must be avoided. We have also launched specific training plans for migrants. We also believe that we have to train municipal staff in all disciplines and services in matters related to immigration. We have also integrated the opinion of the immigrants in municipal policies. In 2010 we created an Immigration Council which is a consultative body which aims at ensuring the participation of immigrant associations in the development of policies for integration which are being developed in the municipality..
CM: Do you work and collaborate with other mayors in Spain and elsewhere in order to share experiences and learn from each other? Mayor IA: I believe that sharing knowledge and experiences between cities is the key to a continuous improvement of local governance. We participate in international networks including United Cities and Local Governments ( UCLG) and Urban European Latin American and Caribbean Cities (URBELAC) and we have mechanisms and collaboration agreements with cities around the world. Within Spain, we have recently signed an agreement with Barcelona to strengthen cooperation and exchange between our cities in terms of tourism promotion, economic co-operation, international projection, ecology and new technologies. Above all, it is our experience in development and urban transformation which attracts attention and generates international interest. Every year we receive more than 30 delegations of technical or other teams of professionals from other cities who visit to learn how the transformation of Bilbao has taken place. Whilst this allows us to teach it is also an opportunity for us to learn. Our urban regeneration process has received international recognition in the last ten years. Bilbao was awarded the ‘Lee Kuan Yew City Prize ‘by the city of Singapore which itself wishes to become the global benchmark for the processes of urban change. We participated in the Shanghai Expo 2010 within the Urban Best Practices Area. This followed a long and difficult selection process for the best urban practices in the world..
CM: Would you run for a fifth term? Mayor IA: We are in the first year of the four-year term. I want to remind you that for the second term my party rejected my candidacy at 7.p.m. and then appointed me at midnight. Let us give things time. To speak now of the municipal elections in 2015 is like going to the moon on skates. 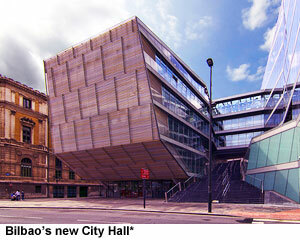 *Bilbao City Hall designed by IMB Arquitectos. Photo by Wojtek Gurak.